» Nigeria : Oshodi elected at the NSF! 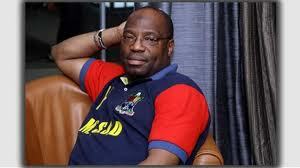 Africa Nigeria : Oshodi elected at the NSF! Lagos state Commissioner for Sports, Barrister Waheed Enitan Oshodi on Tuesday in Ibadan emerged the winner of the zonal election (South west) into the board of the Nigeria Table Tennis Federation. Oshodi won by five votes to one to return to the board he served in the last four years as a co-opted member. It was however a sad tale for the immediate past Commissioner for Sports in Lagos state, Ademola Adeniji-Adele whose bid to get into the board of the Boxing Federation of Nigeria was rejected by delegates from other South West zone who voted in relatively unknown Rotimi Rasheed, a former chief medical director of Ondo State specialist hospital as the zonal representative on the Boxing Federation board. In Athletics, Lagos State Athletics Association chairman, Professor Tunde Makanjuola defeated three other candidates to emerge the zonal representative on the board of the Athletic Federation of Nigeria. Makanjuola,who emerged winners in his fifth attempt polled three votes ahead of Olumide George from Ondo State who polled two votes while Atlanta Olympics double medallist and reigning African record holder in the women’s 400m, Chief Falilat Ogunkoya-Omotayo polled only one vote. The fourth contestant, Samuel Fatunla, Nigeria’s only internationally recognised track and field statistician was betrayed by his own state (Ekiti) delegate who reportedly voted for the Ondo State candidate. The action of the Ekiti State delegates shocked observers at the Obafemi Awolowo stadium (formerly Liberty Stadium),venue of the elections who felt he also betrayed the Action Congress of Nigeria by voting for a candidate from an opposition party.